I have not put the new guitar down yet. What a beautiful instrument you have made me. This guitar responds to every nuance you can throw at it. For a while I thought I was losing my ability to play as well as I used to, but the feel of this guitar is amazing. The playability is superb. Thank you for a beautiful new friend. Singer Songwriter Tom Dean was here recently for a retop repair on his 1970 Martin D-18 acoustic guitar. This is his first guitar and he’s had it for his entire 30+ year career, writing songs and singing and performing not only solo but with prominent bands Devonsquare, Schooner Fare, Dave Mallett, and The Nutopians. The Martin D-18 had seen some serious music-making, and called for a new Sitka Spruce Bear Claw top and hand-carved Adirondack Spruce braces. Due to several partial repairs made over the decades, the guitar was not as playable as it had been, and was lacking tonally due to general and wear tear. Having been re-fretted, its neck reset, and bridge replaced multiple times, as well as hard use in live settings, with the old top removed we were able to find and correct a number of structural issues inside the guitar. Tom and his band mates were a bit of a nervous wreck about literally tearing the top off this beautiful instrument with so much history. “Will he live, Doctor?” It was a privilege to undertake this major acoustic guitar repair knowing that it had been with Tom all those years. Robby Coffin was concerned about undoing the Martin guitar but in the final analysis both he and Scott Elliot were very impressed with the excellent mechanical and cosmetic installation, not to mention the incredible sound. We’re not always blowing our own horn here at WR Custom Guitars if you haven’t noticed. 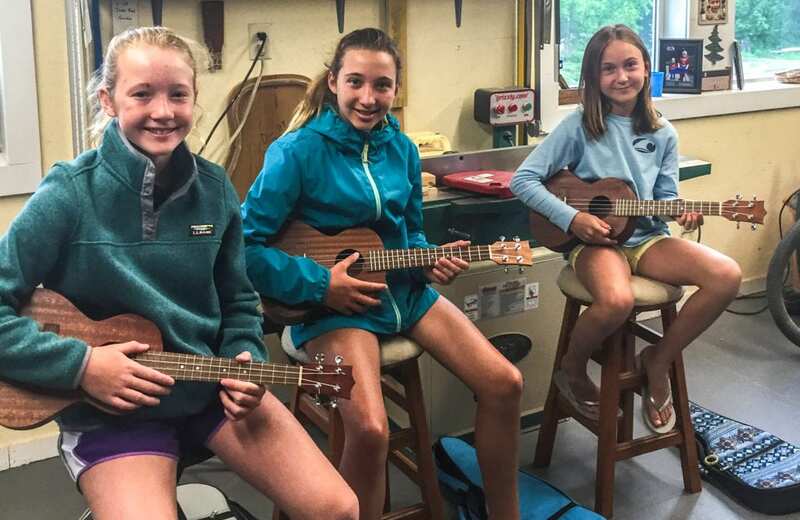 We’re just sharing this because we feel it is important for people with valuable instruments in a state of disrepair to know that there is a shop right here in Maine that is fully qualified to take on these advanced, intricate types of acoustic guitar repairs. People are quite reluctant to have someone tear into their instruments, but we’re building a reputation for high-end quality work, and for putting people at ease through the entire process. Tom’s final word on it is that the seasoned Martin D-18 plays and sounds better than it ever has, and he will continue to write and play on it. The icing on the cake for us was seeing him and the band at The Olde Post Office Cafe for the guitars second maiden voyage, seeing it in action for the “second first time” was really special. There is a lot of potential left in the guitar and Tom says it sounds better than it ever did. Feel free to call us or stop by to discuss your acoustic guitar repair needs. No job is too big or too small to get your instrument back into playable condition. As a singer, songwriter and producer of the distinguished folk/rock band Devonsquare, Tom’s song “Walking On Ice” helped earn them a coveted record deal with Atlantic Records in the 1990’s. As producer, arranger, singer, multi-instrumentalist and co-leader of The Nutopians, Tom brings a wealth of experience, charm and talent to the stage.